In January most people have detox, weight loss or fitness goals on their to-do list (or all of the above). Sadly, by the third or fourth week into the New Year, a large percent of resolution-makers have already given up and have fallen back into their old habits. It does seem a little backwards and unfair… Winter feels like the time to eat comfort foods, lounge by a hot fire and pack on layers of clothes (if not an extra layer of fat) to keep warm. Plus, it can feel brutal to muster up the willpower to get outside in cold weather! The New Year would be so much easier in the spring, right? Every day is a new opportunity to start over. So even if you got a little derailed with your New Years goals, today is the perfect time to start over and begin again. It doesn’t need to be big and overwhelming. In fact, sometimes it’s the little things we do over time that have the biggest impact. 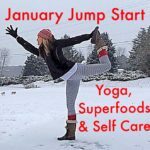 I know for me, yoga, superfoods, self-care and essential oils have had a huge and positive impact on my health and wellness. None of these things take a lot of time, money or energy, but when done consistently, the combination is magical. Yes coffee is hot and there is a huge following of Bulletproof coffee fans, but coffee gives me migraines, so it’s definitely not a superfood (more like kryptonite). Plus, coffee is dehydrating and for people who are already anxious or stressed, it can have a negative effect on adrenals. Plus often coffee tends to be accompanied by lots of sugar and other unhealthy additions, making it more like a cupcake than part of a healthy breakfast. But if you’re a coffee person, it can be a brutal break up. It took me 5 tries to finally give it up (even though it triggered migraines) But the temporary “high” I felt from coffee was so hard to let go of, despite the negative effects (that, my friends is called addiction). The final motivator came when my husband started calling coffee “migraine juice”. He’d say… “yup, go ahead and drink you’re migraine juice.” It would make me so mad, but I knew he was right and was trying to help me. That association started to affect my choices and now, years later, I never even crave coffee, which was impossible for me to even imagine 5 years ago. Coffee and red wine are both things of the past for me (which significantly reduced my migraines BTW). I’ve found much healthier drink options including green and herbal teas, kombucha, fruit infused water, smoothies or hydrosols (water with a drop of essential oil like peppermint, ginger or lemon). HOT LEMON WATER – This little magical drink is hydrating, helps to support liver function, kills bacteria, supports immune system, jump starts digestion and is great for detox (can you say that about your coffee?) Recipe is basically: the juice of a half or whole lemon, 1 tsp raw honey or maple syrup + hot water and a pinch of cayenne pepper or ginger essential oil. TURMERIC TEA / GOLDEN MILK – turmeric is known to boost your immune system and support digestive health. It has natural antibiotic, anti-inflammatory, antiviral, and antibacterial properties. Turmeric is packed with anti-oxidants. Just purchase organic turmeric in the spice section of your grocery store. While you’re there, pick up cinnamon as well (I like the combo of the two). I typically use about a teaspoon of turmeric (watch out, it’s VERY orange and can stain clothes), a dash of cinnamon, add hot almond or coconut along with raw honey or maple syrup to taste (you can use Stevia instead, but I can’t stand the taste). Often I’ll add a drop of ginger essential oil – mostly because I love ginger, but it is also great for digestion). GINGER LEMON – This is just a variation of Hot Lemon Water with all the same benefits: the juice of a half or whole lemon, 1 tsp raw honey or maple syrup + hot water and a drop of ginger essential oil (or you can grate up fresh ginger and steap it overnight so it’s ready to use first thing in the morning – you’d just add the lemon and honey to the ginger water to make your tea. The key with using fresh ginger is doing it the night before so it’s fast and convenient in the morning – or just use the ginger essential oil, but make sure it’s therapeutic grade! I only use doTerral essential oils. 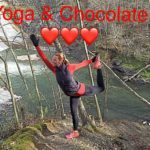 HEALTHY HOT CHOCOLATE – Yes, chocolate can be a superfood (when you use raw cacao instead of processed, sugar-laden chocolate. This recipe is easy, naturally energizing and so delicious. Combine 1/2 Cup almond or coconut nut milk with 1 T raw organic cacao, 1 T maple syrup, raw organic honey, or coconut sugar, 1T coconut oil and a dash of Himalayan sea salt. I also LOVE adding a drop of peppermint essential oil (I use doTerra) or a teaspoon of cinnamon. To prepare, add cacao, sweetner, coconut oil, and sea salt to the bottom of you mug. Heat up your nut milk. I often blend in my Vitamix so its extra frothy. MATCHA LATTE – Matcha is concentrated Japenese green tea and is high in antioxidants, boosts energy and endurance without the jitters coffee tends to give me and known to have anti-aging benefits because it’s anti-inflammatory properties. Put matcha powder and collagen in mug an add hot water. Stir well. Heat the milk, sweetener and coconut oil. Mix together. I prefer blending everything in my Vitamixer so it’s frothy and smooth. Add essential oils (optional). Stir well and enjoy!!! You have to find the flavors and concoctions that suit your taste buds and goals. Keep experimenting! But definitely increase your fluid intake during a detox to help flush out your system and rehydrate your body. A detox isn’t necessarily easy, but it’s so worth it. ENJOY the process of letting go of foods, thoughts and habits that no longer serve your best self. If you need support during the detox process, consider hiring a health coach to keep you accountable and help you create positive change. 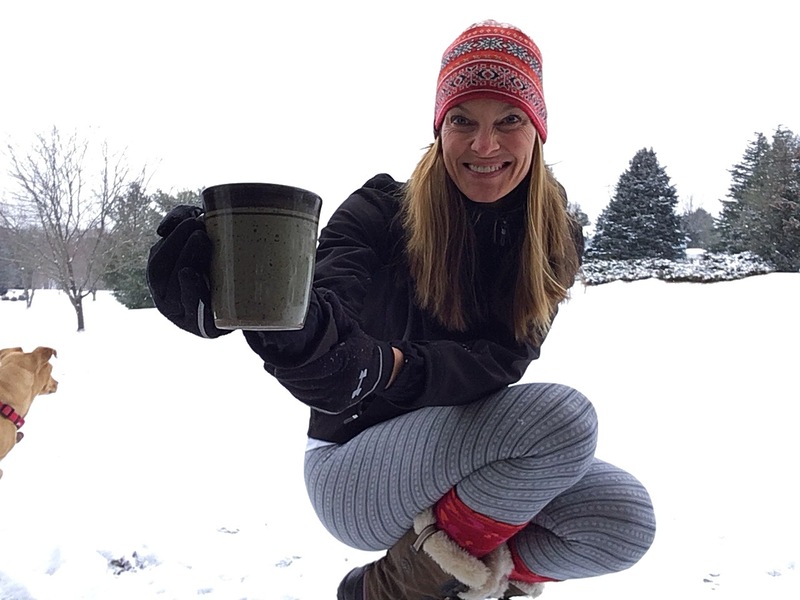 If you’re feeling stuck, I offer private yoga and health coaching sessions via Skype, phone or in person. I will happily hold you accountable and help you achieve your health and wellness goals. 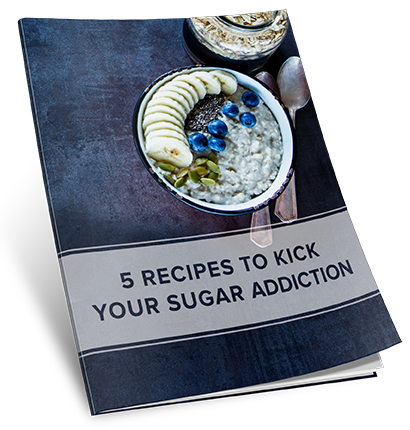 PS Sign up for my Enewsletter for a free chapter of my book (all about the Flexible Warrior way of balancing willpower with chillpower), plus a free e-book with 5 Recipes to Help Your Beat Your Sugar Addiction!